Discussion in 'Ride Discussion' started by WiCy#1, Jul 31, 2012. Skyscreamers lights weren't on at all yesterday or today. Are they broken!? They were working on it today and they fixed it. Guess they were just having some issues with it. Yeah I thought it was weird Saturday when I drove by the park. All the other lights were on except NESS. Glad to see it back to normal. It's so pretty. I couldn't handle it with high winds going forwards. Can't imagine it backwards, talk about a serious thrill! The wind is behind you so it's not that bad. They slowed it down considerably as well. It's so beautiful up there with all the lights in the park. Gimme a good hyper; I'll ride it until I'm blue in the face. This is one ride I could NEVER do! I'd give it a twirl. What's the worse that could happen? We like the ride just fine, forward or backwards. The wait is the problem. The line is almost always too long. Sky screamer was running forwards today, not sure why since it was running backwards the last time I went last week. It was running forwards yesterday as well. It also didn't run too often since they struggled to get the 12 riders minimum with the low crowds. A new record is topped off. It was bound to happen. 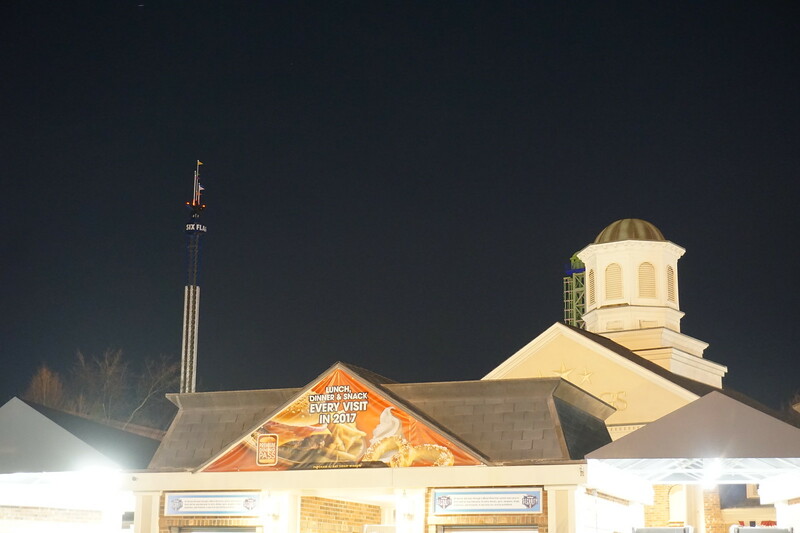 Not sure but this seemed to be a bit less topper and more tower then SFNE also. What is the best state in New England?